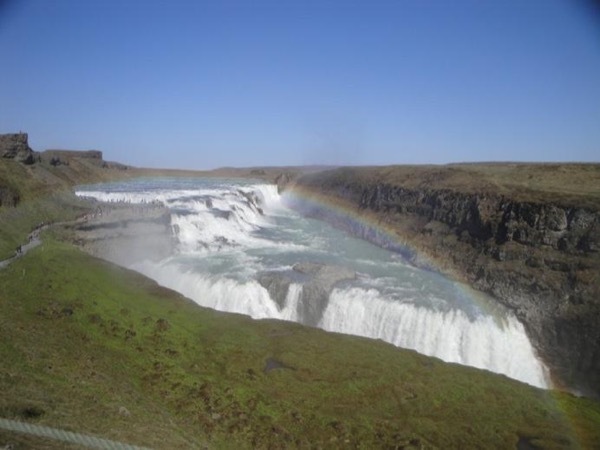 Gudrun is fantastic and very informative about everything in Iceland, she can answer all our questionS. She always tried her best to get the best stuff/view for us. For example, there is a FISH buffet restaurant which recommended by her friend and she thought that would be something different and nice, she didn't mind all the trouble to check the availability of this particular restaurant and cancel her previous booked. Hence, we taste this fantastic fresh fish, it was superb, believe me. Tak Tak Gudrun. TOUR GUIDE RESPONSE: Dear Jess Thank you for booking with me such a long trip. Nine sunny days, - I thoroughly enjoyed your company while taking you around, no problem at all changing bookings etc. Please give my best regards to your colleagues and family. I hope you will always remember this trip to Iceland!